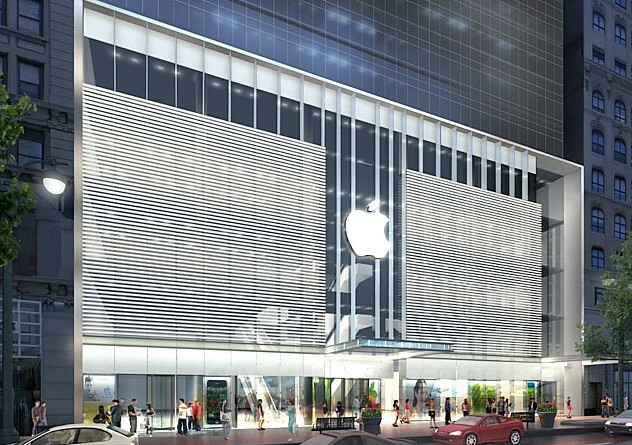 iP3: Apple Store 2.0 revealed: Startup Sessions, interactive iPad signage, new sound/display systems, new app? Apple Store 2.0 revealed: Startup Sessions, interactive iPad signage, new sound/display systems, new app? A source has just dropped a load of unconfirmed information on us for what is being internally referred to as “Apple Store 2.0.” Apple Store 2.0 is a major makeover for the Apple retail store experience. Apple has been working on this new type of Apple store for a while now and the development’s ceiling does not only reach Apple’s Senior VP of Retail Ron Johnson, but was led by Apple CEO Steve Jobs and Apple design chief Jony Ive. Like we reported before, Apple is taking their personal setup service very seriously. Even more so in Apple Store 2.0. Personal Setup will have new dedicated areas in stores called “Startup Sessions.” The new bars are said to be even more interactive. Another major change at Apple Stores has to do with their signage. Today, next to each Mac and many products are paper signs. With Apple Store 2.0, those signs will be replaced with interactive iPads. Next, these new Apple Stores – at least in some locations – will feature beefed up displays, which are described as “huge,” in addition to brand-new sound systems. Besides those in-store changes, Apple is set to release a brand-new Apple Store iOS application – possibly on Sunday – that is even more interactive. For example, a user with the app can walk into the store and the app will know which location the user is at. The app can even ask the user if they’d like to speak to a specialist, for example. Update: Additional sources have let us know that stores have received some boxes today that are only to be opened by the store’s visual manager. The sources speculate that these boxes are for new store or window displays. Other sources have said that Apple will be doing some more employee training on iPads.